The DesignDentistry team aims to keep your teeth and gums healthy throughout your lifetime. To ensure that you enjoy the best possible oral health, we recommend having an examination along with a scale and clean done on a biyearly basis. If you have gum disease or other concerns, we may recommend more frequent visits. According to research, there is a link between gum disease and conditions such as stroke or heart disease, making it vital to keep up with your oral health. A visit to our practice for a scale and clean involves a removal of the buildup along your teeth and gums, leaving your teeth smooth. The teeth are then polished to a gleaming shine. You’ll also receive a fluoride treatment to protect your teeth from decay. 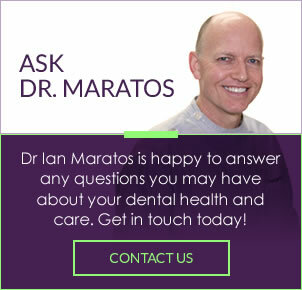 We’ll also give you helpful tips on maintaining your oral health in between your visits with us. If plaque and tartar buildup is left untreated, these deposits can lead to periodontal disease, which is irreversible and leads to the loss of teeth and bone. With preventative care, however, you can preserve your healthy smile. What you do at home in between your checkups is essential to having a bright smile. You should brush twice a day for two minutes each time using only soft-bristled toothbrushes. Flossing must be done once every day to clean around and between teeth and below the gum line. It’s been said that an ounce of prevention is worth a pound of cure. Reduce your risk of more serious oral hygiene concerns. Contact us today to schedule your scale and clean Bentleigh East appointment!